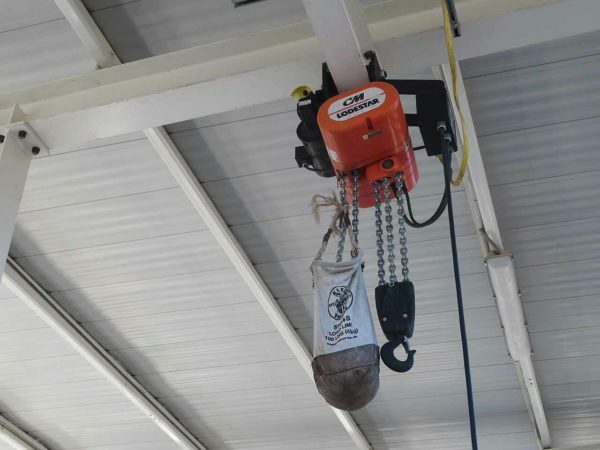 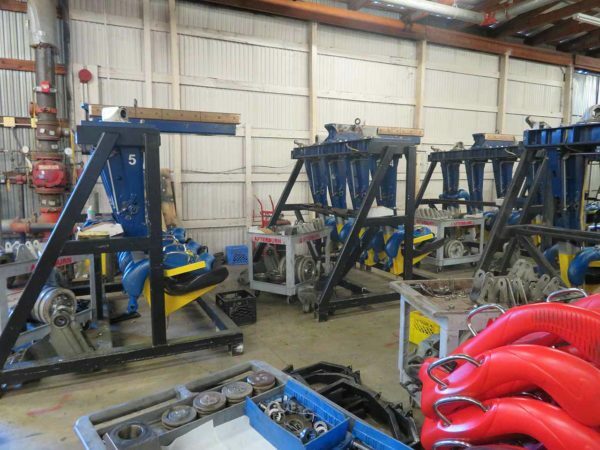 The park was kind enough to take us “behind the scenes” recently to document several of the various maintenance projects happening around the park! 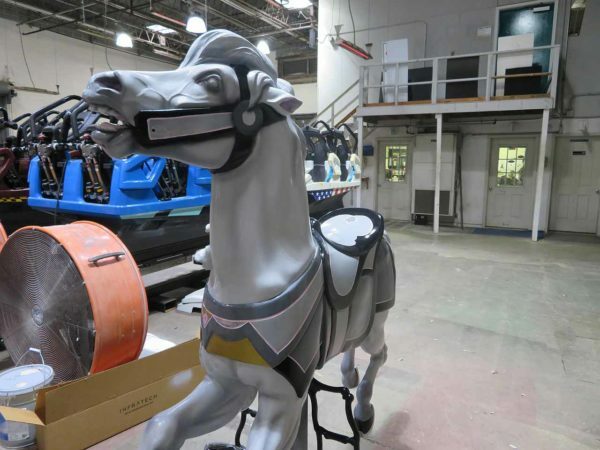 Last year, Carowinds moved their classic PTC Carousel to a new location, and with that new location comes some TLC. 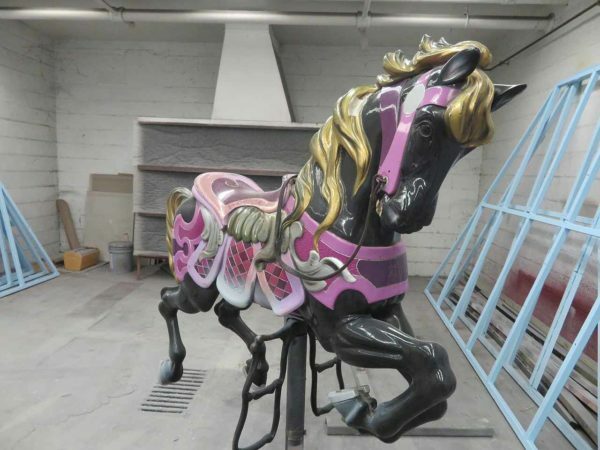 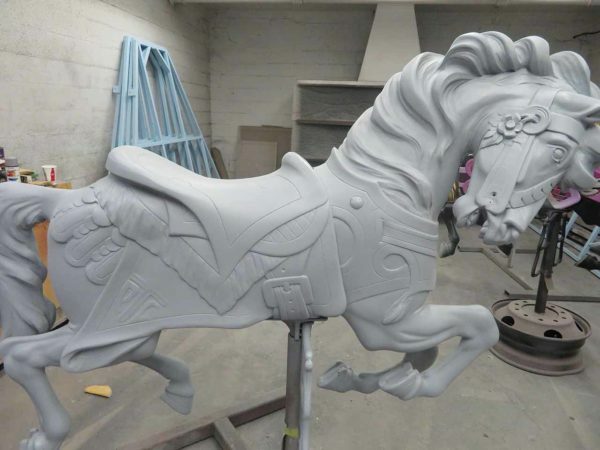 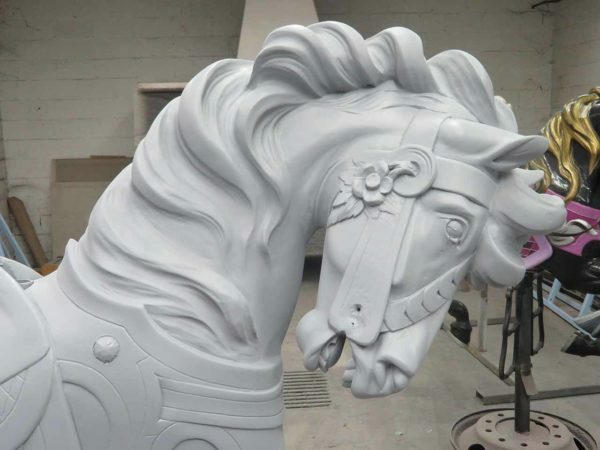 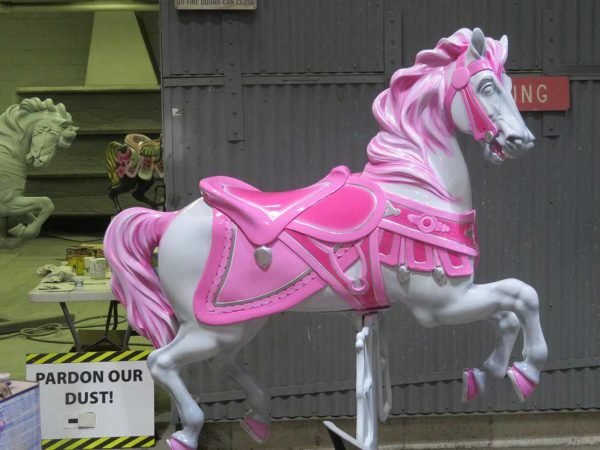 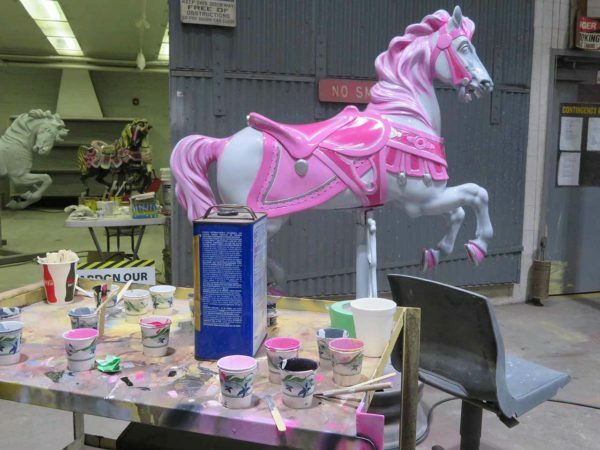 Each of the horses is hand painted, and we got to take a quick look at several of the horses in painting progress. 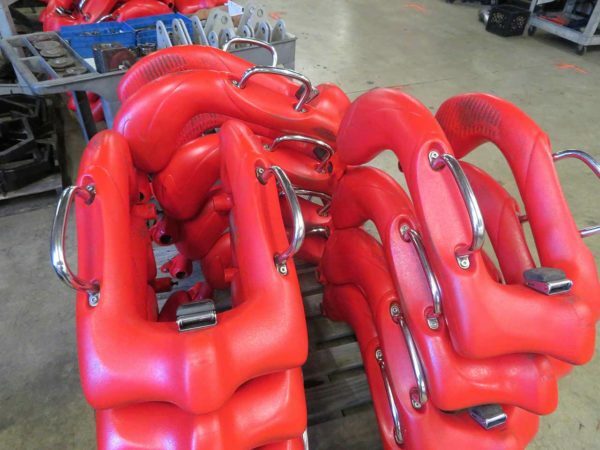 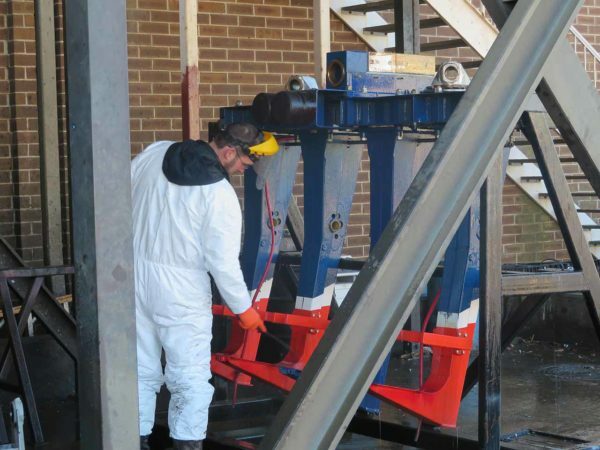 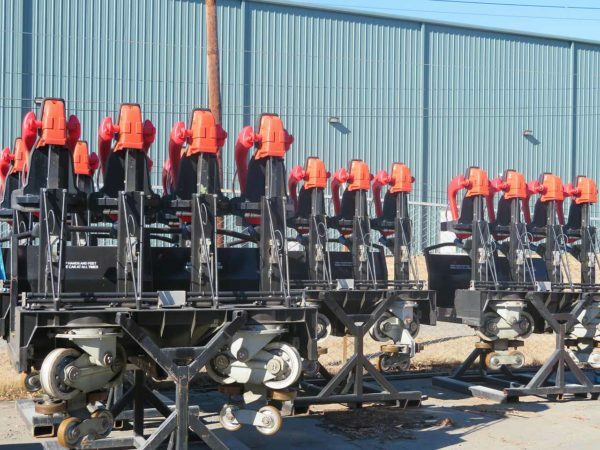 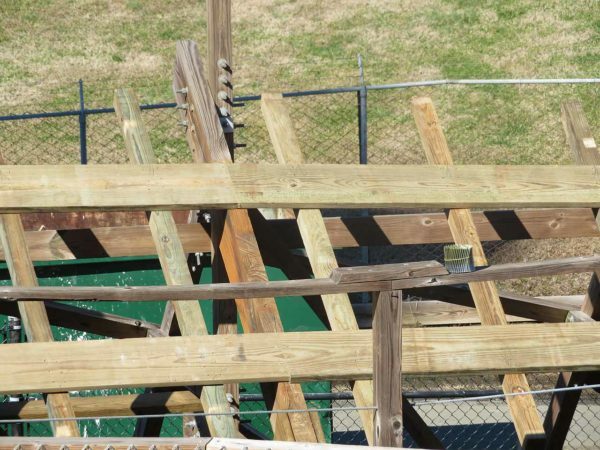 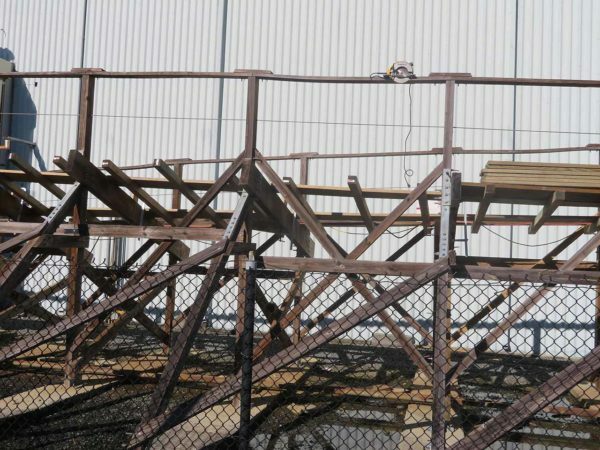 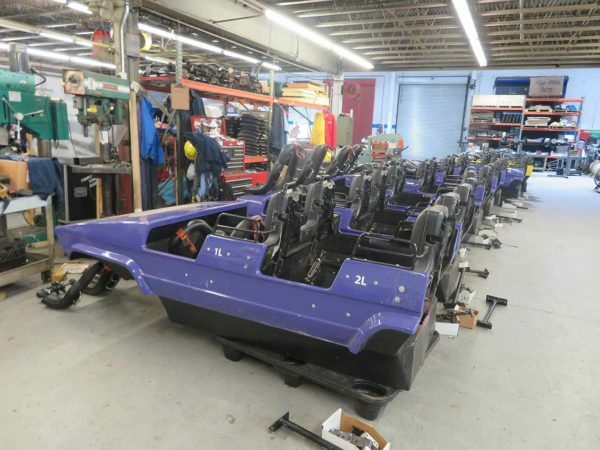 Back in 2015, we interviewed Carowinds’ Director of Ride Maintenance Bob Patosh, who told us that each off-season, each roller coaster train is taken down to its frame for inspection. 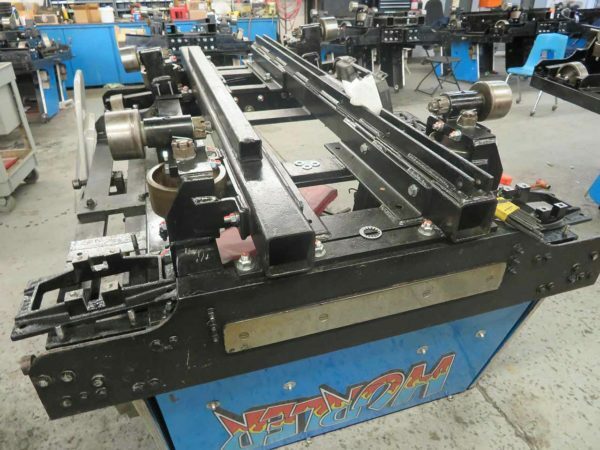 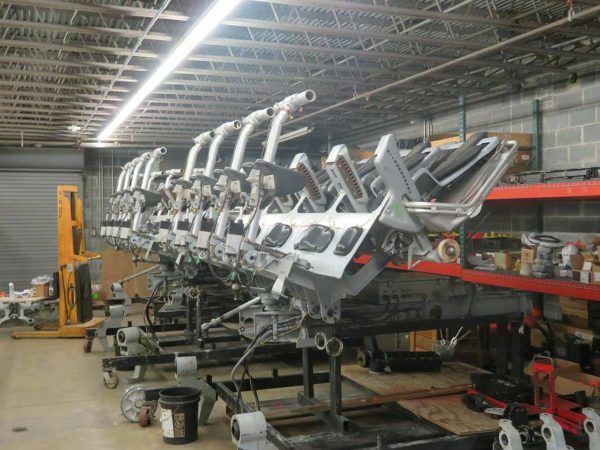 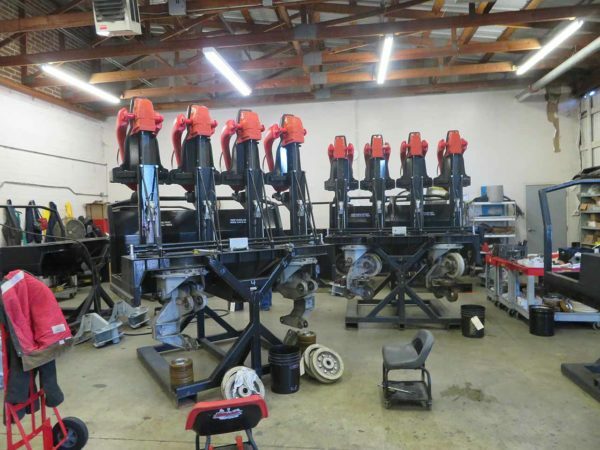 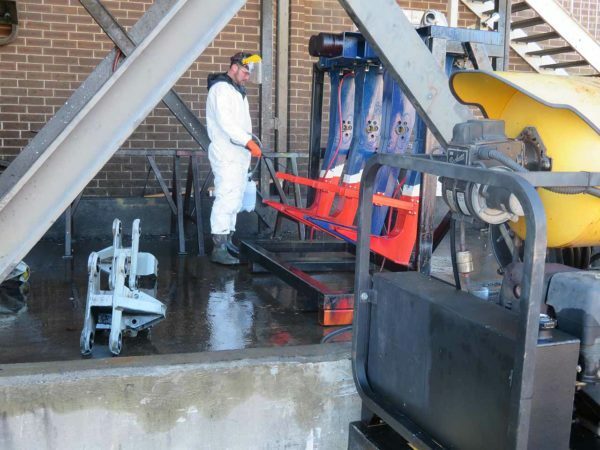 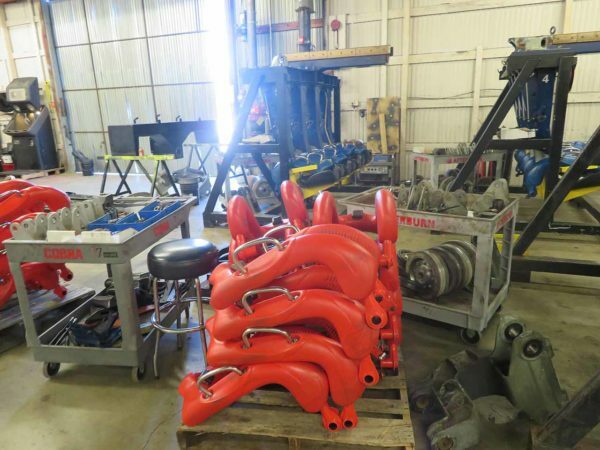 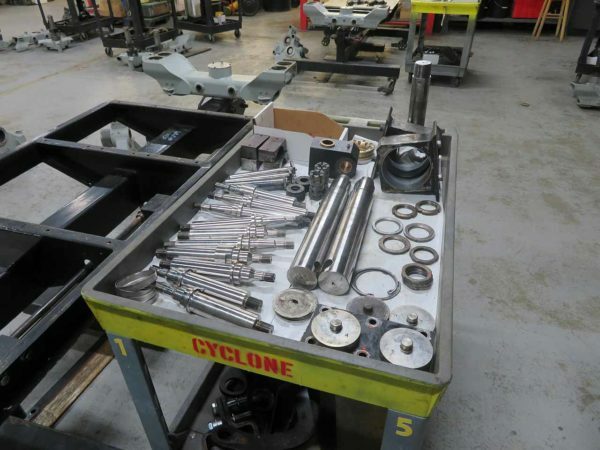 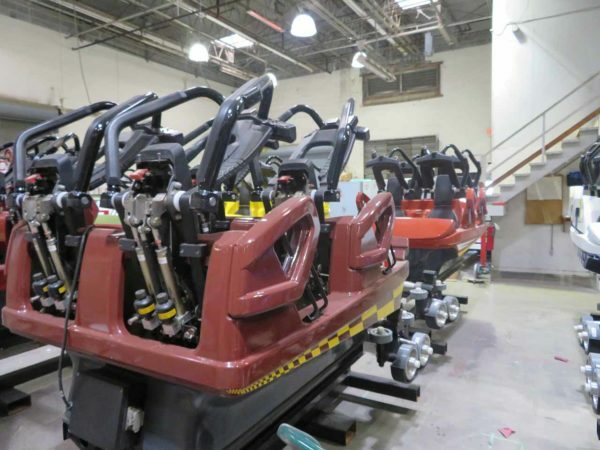 Several coaster trains were spotted in the Carowinds Maintenance Shop, in various states of disassembly and cleaning. 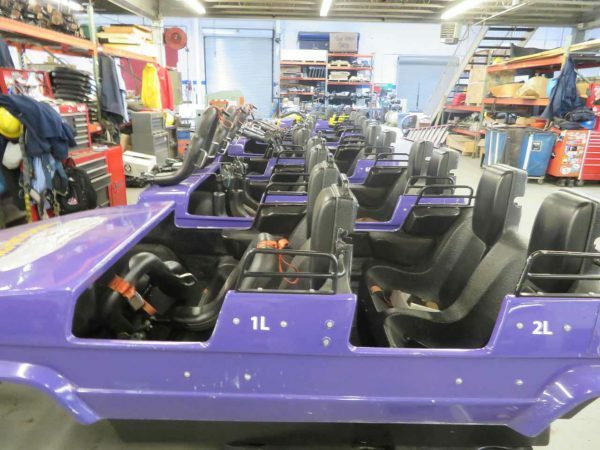 Afterburn’s trains, down to the frame. 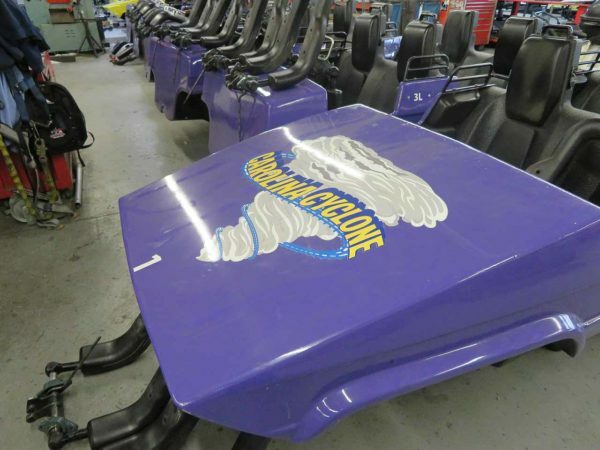 One of Afterburn’s trains was being cleaned up outside. 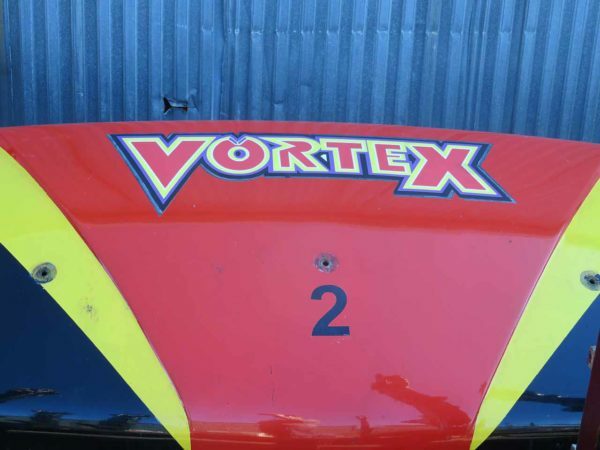 Several Rows of Vortex, in the shop, as well as outside of the shop, along with the “hood” of train number 2. 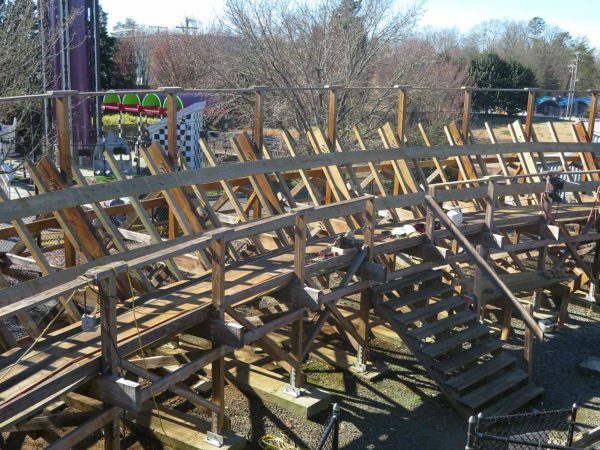 Nighthawk’s trains, ready for maintenance. 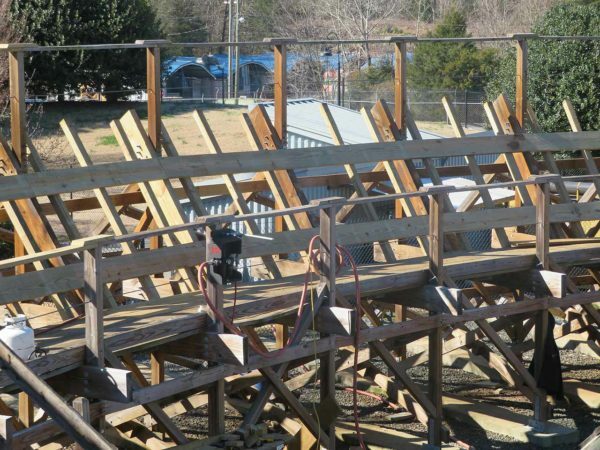 Fairly certain these are the frames of Kiddy Hawk, down to the bare bones. 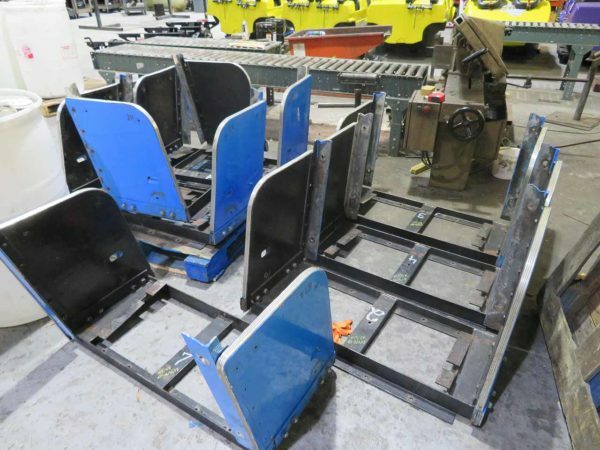 Hurler’s Blue Train, with wheels and side panels removed. 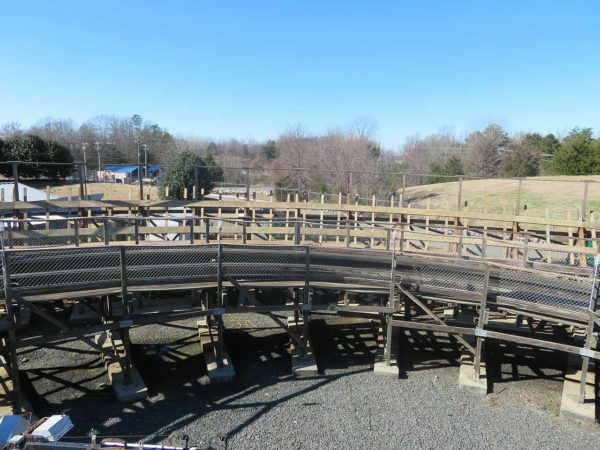 On the subject of Hurler, Carowinds is currently re-tracking the banked 180-degree turn at the base of the coaster’s first drop. 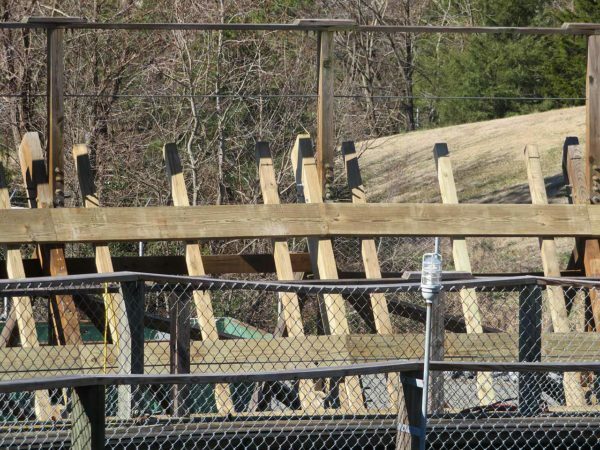 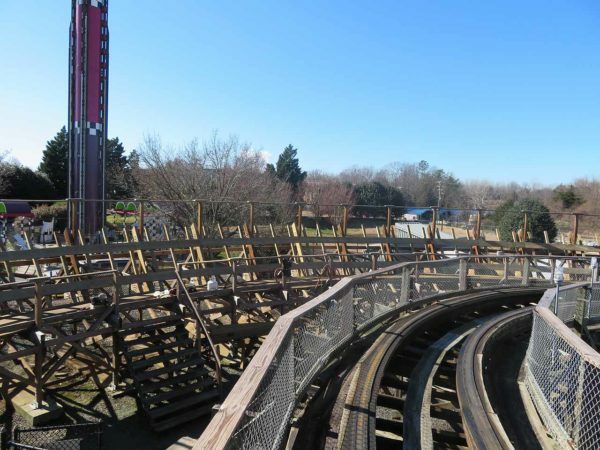 It doesn’t appear to be as in-depth of a re-tracking as when Great Coasters International rebuilt the entire turn from the ground up in the 2013-2014 off-season, but it’s great to see Carowinds putting some TLC into their largest wooden coaster! 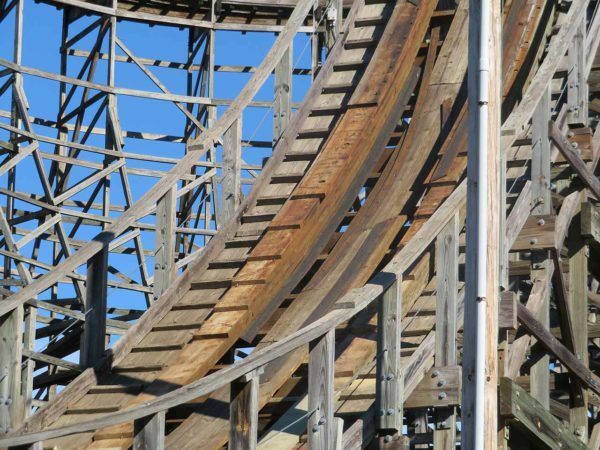 Maybe it’s the coaster nerd in me, but I loved seeing the different layers of wood on the drop. 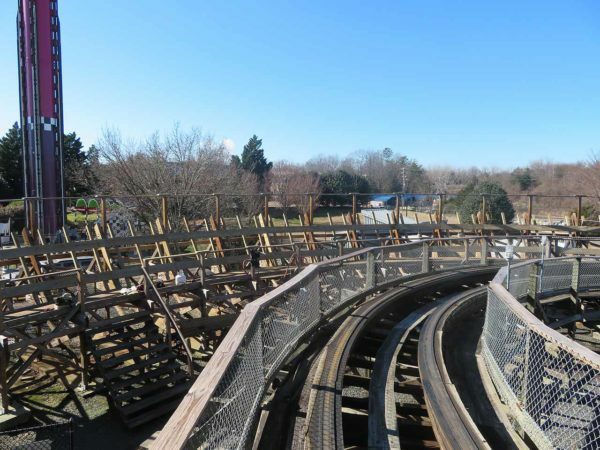 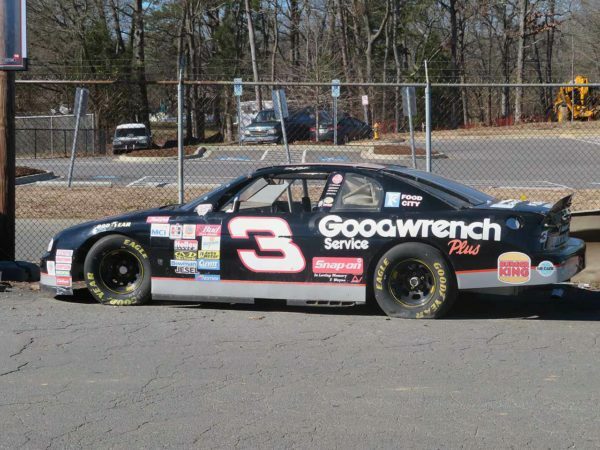 Looks to be 8 or 9 different layers of wood that make up the track! 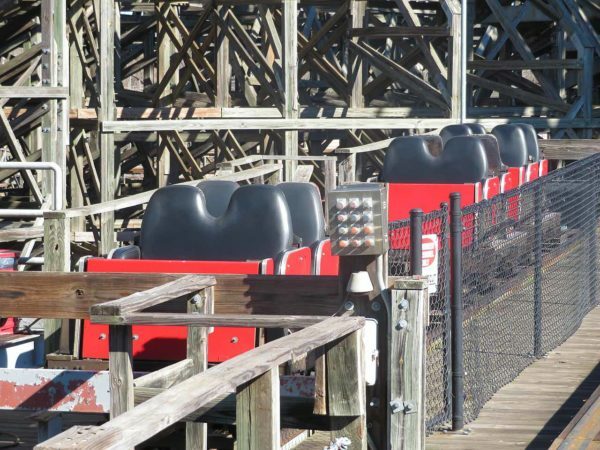 The middle few rows of Hurler’s Red Train were MIA, presumably undergoing off-season maintenance. 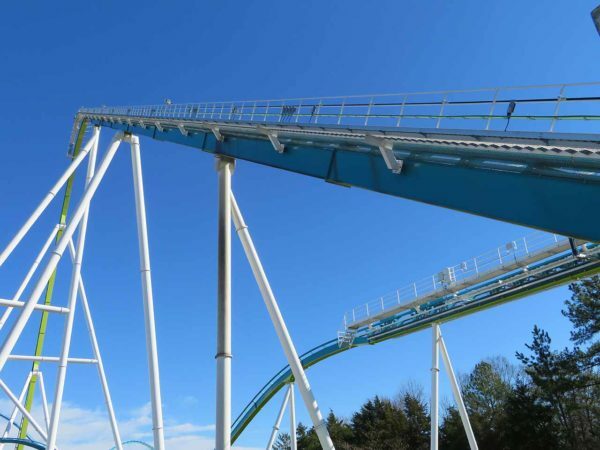 What’s a Carowinds update without a little Fury 325? 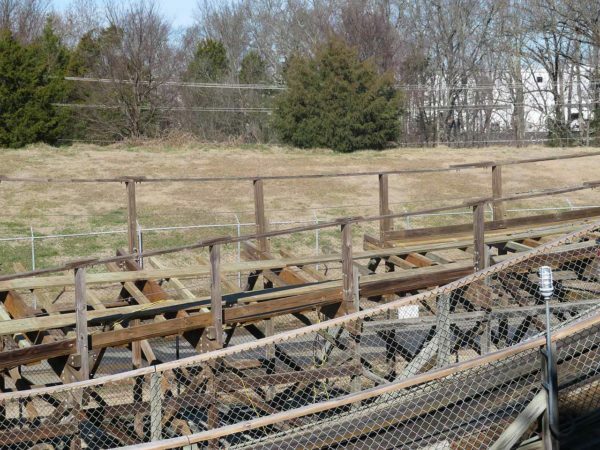 While the coaster’s trains weren’t in the shop or in the station, we managed to get a pretty unique look at the train storage area. 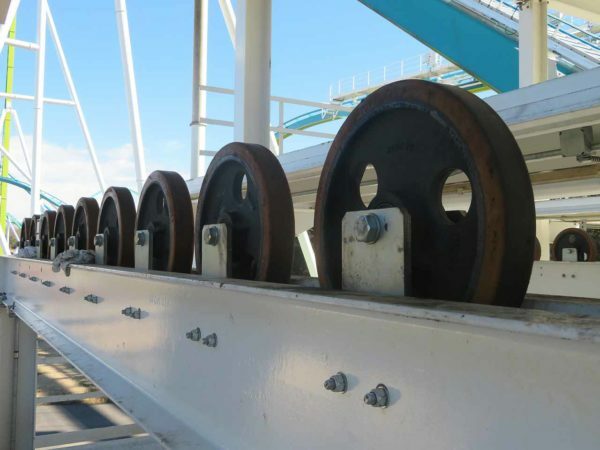 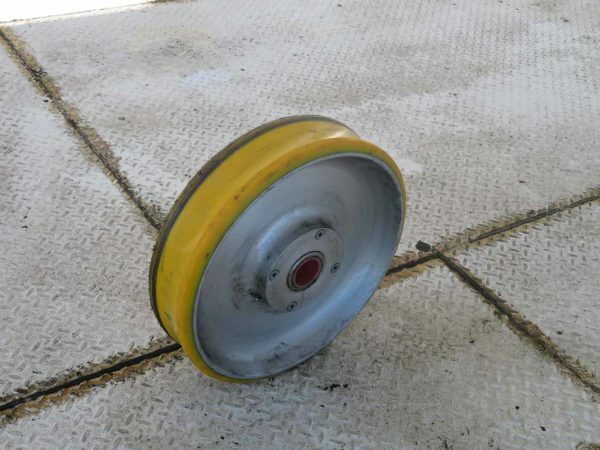 A lone wheel from Fury 325 was residing in the train storage area. 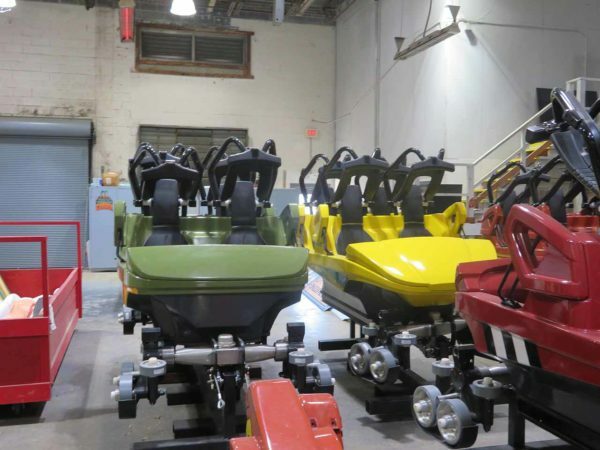 The cars for Scream Weaver were in storage underneath Carowinds’ train storage area. 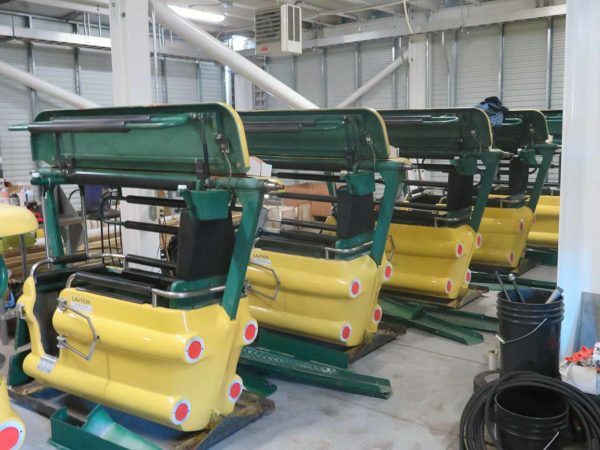 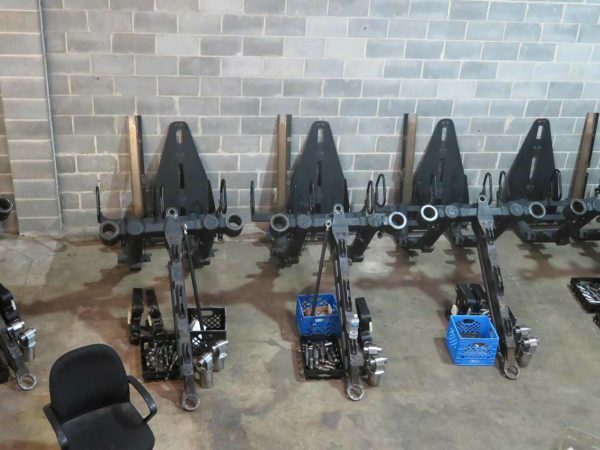 The hoods for Fury 325’s three trains. 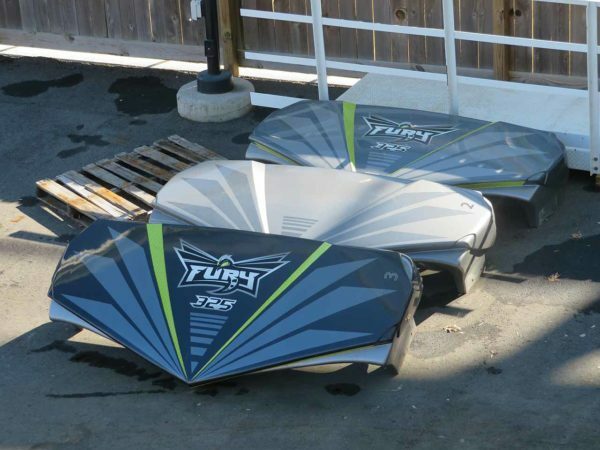 Call me uncultured, but I didn’t realize there were three different designs/color schemes. 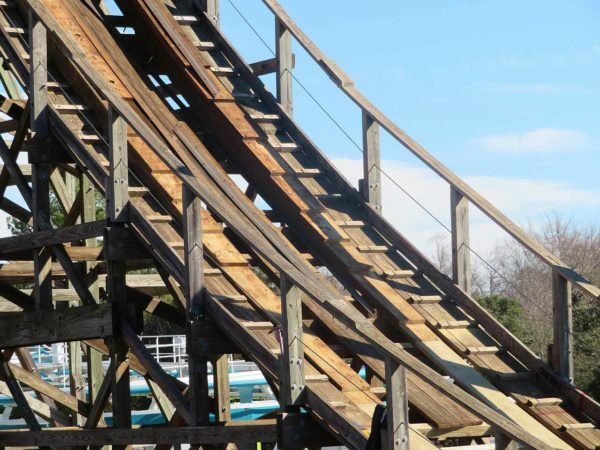 How can you not love that lift hill and drop? 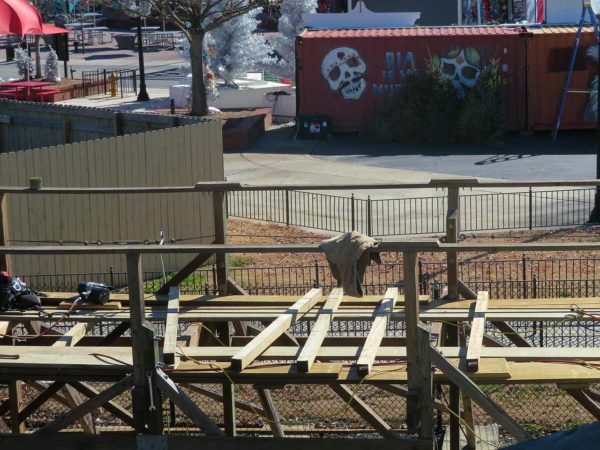 Carowinds is racing towards opening day on March 23! 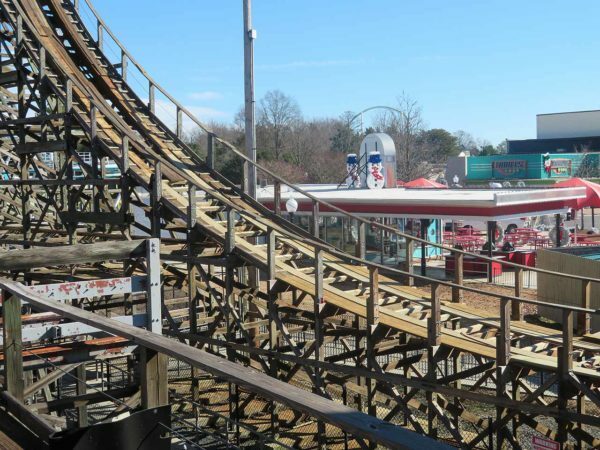 For more information about the park, be sure to visit their website, and follow the park on Facebook, Twitter, and Instagram!